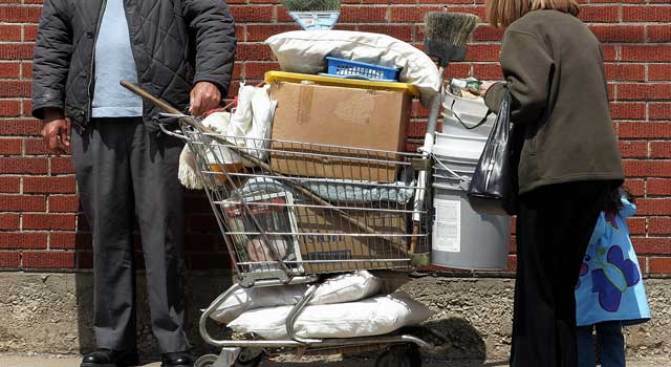 A new study says San Francisco is not very nice to its homeless. The National Law Center on Homelessness & Poverty and the National Coalition for the Homeless just released a report, titled Homes Not Handcuffs, which lists the "meanest" cities for homeless people. The report was compiled with information from 2007 and 2008 regarding laws that target homeless persons, like sleeping in public places, etc. The report takes a jab at Mayor Gavin Newsom for trying get people to give loose change to social services by installing homeless meters last years rather than directly hand the money to panhandlers. The report (which you can download here) is full of interesting and useful information, and also strategies for how to deal with the growing homeless problem. So, where is San Francisco on the list? Out of the 273 cities the study looked into, San Francisco ranked seventh on the list. Seventh! SF Curbed contributed to this story.